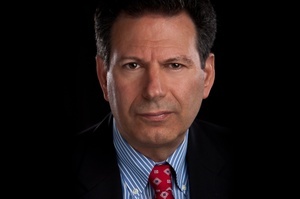 Robert D. Kaplan is the bestselling author of fifteen books on foreign affairs and travel translated into many languages, including Asia’s Cauldron, The Revenge of Geography, Monsoon, Balkan Ghosts, and Eastward to Tartary. He is a senior fellow at the Center for a New American Security and a contributing editor at The Atlantic. He was chief geopolitical analyst at Stratfor, a visiting professor at the United States Naval Academy, and a member of the Pentagon’s Defense Policy Board. Foreign Policy magazine twice named him one of the world’s “Top 100 Global Thinkers". "It will be hard without the US as the organizing principle." The 21st century will be Asia’s century: what happens in the East will affect the stability of the globe, says Robert D. Kaplan. He spoke with Ben Hill about the lessons to be learned from Asia’s ascent.